St Lucia Palms - St Lucia Accommodation. St Lucia Palms holiday units are situated in the heart of this famous World Heritage site. Approx. 2 hours drive north of Durban, alternately 1 hour drive from Richards Bay airport. Walking distance to all local shops and restaurants, your unit is fully furnished and equipped as well as being serviced daily. Whether you prefer to relax by the pool or partake in one of the many tours or excursions, it is the perfect location for your holiday to this beautiful part of the world. St Lucia Palms offers 4 and 6 sleeper self catering units for holiday accommodation. The apartments are all fully equipped and serviced daily with satellite TV, outdoor patio and BBQ facilities as well a swimming pool for all our guests. An array of restaurants, coffee shops and retail outlets are within easy walking distance from your apartment, making your stay easy and stress free. With the Indian Ocean 2 kms away, nearby activities include whale and dolphin watching, lake cruises on the beautiful Lake St Lucia with guaranteed hippo and crocodile viewing, wonderful game parks including Cape Vidal and Mission Rocks. Take a memorable deep sea fishing trip, hike or kayak in the Isimangaliso Wetland Park, visit a cultural village, take a thrilling night drive through the game park or just relax on the beach - whatever your choice, St Lucia Palms is the perfect base for your holiday to this beautiful World Heritage Site. St Lucia Palms is set in the heart of St Lucia, walking distance to all local shops and restaurants. Hippo and Crocs are found in abundance with close access to inland game reserves as well as superb whale and dolphin spotting in our local oceans. Each year between November and February turtles arrive to lay eggs on specific spots along the beach. In addition to being a habitat for Nile Crocodiles, Hippo, Rhino, Buffalo, Leopard and Elephant, St Lucia also boasts a host of water birds including Pelicans, Kingfishers, Geese, Ducks, Heron, Fish Eagles, Flamingo and Storks. Lake St Lucia?s eastern shores are comprised of some of the highest forested dunes in the world. Whatever you choose to do a stay at St Lucia Palms is sure to re charge your batteries in this beautiful part of South Africa. 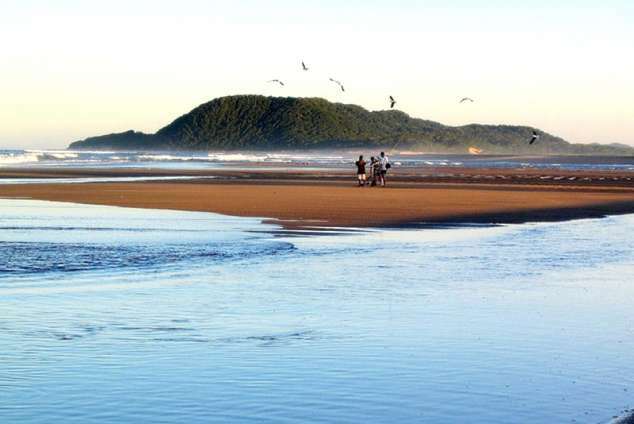 The largest estuarine system in Africa with an area of 325 square kilometres, situated in coastal Kwazulu-Natal. The shallow waters attract large numbers of water birds. There are mud flats, reed beds, flood plains and a well-wooded shoreline. Due to the size of the lake it is not possible to get access throughout. We visit an area on the western shore where there is a superb lodge overlooking the flood plain at False Bay. Target species: Pink-throated Longclaw, Lemon-breasted Canary, African Broadbill, Green Coucal, Crested Guineafowl, Pink-backed Pelican, Brown Robin, Yellowspotted Nicator, Saddlebilled Stork, Neergard´s Sunbird and Pink-throated Twinspot. As the sole permit holder for Wale Watching Adventures in St. Lucia, Advantage Charters now offers you the once in a lifetime opportunity to see these magical creatures of the ocean. An absolute adventure with satisfaction guaranteed. In the safe hands of Danie Bennett you will be taken through the waves to see these gigantic mammals. The weight of these Whales is 40 to 60 Ton (6 000 kg) yet you will witness how gentile and clam these mammals play and move around the boat. From just 50 meters form the boat you can feel the wind rushing out of the huge lungs of Southern Right Whales and Humpback Whales as they spray a fine vapor of salt water into the air. These goliath whales are on route to Mozambique and stop early in our waters to show off there amazing qualities. On our tour you will have ample opportunity of seeing these perfect creatures up close as well as numerous other sea dwells like, Dolphins, Sharks, Ray, Turtles and more. This experience will touch your heart and soul. The Hluhluwe and Umfolozi reserves were founded in 1895 and are the oldest such sanctuaries in Africa. It was here that theworld- acclaimed Operation Rhino was introduced during the 1960s, successfully capturing and relocating white rhino to havens within South Africa and abroad. As a result, this country's white rhino population is now 12 times the 1960 count of 500. Today a single park, Hluhluwe-Umfolozi is focusing its efforts on saving the endangered black rhino, whose number in Africa has dwindled from 14 000 to a pitiful 2 550 in the past decade. You'll find at least a fifth of the world's black and white rhino population here. This park is located in central Zululand. From the north, leave the N2 at the Hluhluwe off-ramp. At the stop street turn right and cross over the freeway, follow this tar road for about 14 Km to the memorial gate, the northern entrance to the reserve. Coming from the south, cross the bridge over the Umfolozi river on the main north coast road (N2), and take the Umfolozi Game Reserve turnoff, 3km north of the Mtubatuba turnoff. From the north the signboard is opposite the Mtubatuba turn off on the right. Take the tarred Nongoma road for 27km, before turning off left to the Nyalazi gate. Follow the signposts to Umfolozi. The reserve may also be approached from Vryheid, either via Nongoma and Hlabisa, (but most of the route is gravel), or via the tarred road to Ulundi, then take the gravel road to the Cengeni gate, which is 24km from Mpila Camp. Besides the big five - Rhino, Elephant, Leopard, Lion And Buffalo, There is an astonishing variety of wildlife to ensure a fascinating encounter for the visitor. Experience the essence of Africa on Lake St Lucia "a World Heritage Site", aboard Born Free & Fannas "Spirit of St Lucia" where the five eco-systems come together. On board you will be hosted by your skippers and guides in South Africa´s first World Heritage Site. The tour takes approximately two hours to explore the Estuary, starting from the mouth area near Honeymoon Bend to the second narrows. This environmental life link connects the Lake to the Indian Ocean. It serves as a highway providing a migratory route for a variety of organisms, so there is always something happening. Hippopotami and crocodiles are the main attraction, while a wide variety of bird-life is a treat for avid bird watchers and naturalists alike. Mangrove swamps line the shores, fish dart to and fro over the shallow mudbanks catching prawns. Between the 2 boats, we can now accommodate 60 people per tour, ´Fannas - The Spirit of St Lucia´ tour boat, is one of a kind, designed with ample space, comfort and viewing in mind. Whilst Born Free is designed for comfortable viewing with personalised attention.. It is powered by quiet smoke-free four stroke "Yamaha" motors to enable a much closer experience with the wildlife. A licensed bar service and toilet facilities are available on board both boats. With our new kitchen and dining facilities on board Fannas, we now offer an improved menu consisting of hot meals made up of scrumptious fish and meat dishes. Our boat is ideally equipped to cater for office parties, conferences, birthday parties or weddings. We also cater for that romantic full moon tour! Please, however, do remember to make bookings in advance. Turtle Tours, Crocodile Centre and Snake Park - Please ask the St Lucia Palms reception to organize these tours for you. Take the N2 road to Witbank. Turn off to Ogies, pass through Bethal, Ermelo, Piet Retief, Pongola. Take the N2 north - you have the option of the toll road or the alternate rout via Stanger. 40 kilometers after the turn-off to Richards Bay, turn right towards Mtubatuba, as you arrive in Mtubatuba, turn left then right (R618) to St Lucia. When you arrive in the Greater St. Lucia Wetlands Park: Pass over the bridge. Follow the road till you reach the traffic circle which is at the entrance to St. Lucia residential area. Turn Right into McKenzie Street. We are the first block of flats on your left hand side. 532 page views since 05 Nov, 2018.